Many students, and many critics, have admitted to finding Virginia Woolfs fiction difficult to read. 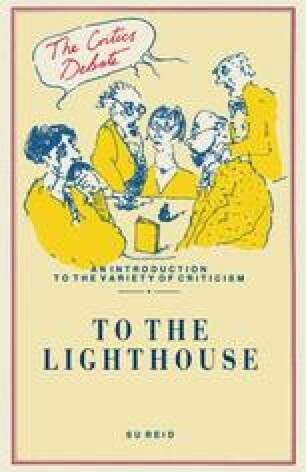 The reason for this is quite clear in the first reviews of To the Lighthouse, anthologised in Beja’s Casebook (1970) and in Majumdar and McLaurin’s Virginia Woolf: The Critical Heritage (1975). Repeatedly, the reviewers comment on the novel’s unfamiliar form, and decide it must represent an attempt to portray aspects of life not normally portrayed in novels.